What to Make For Christmas Morning? Me: Looking for a recipe online. Me: For Christmas morning! I want something I can make and have ready so we can have fun opening presents and have a yummy breakfast! So, I was wondering if anyone out there in Blogland has a favorite Christmas breakfast tradition? Preferably something savory that I can make ahead of time and just pop in the oven while we open presents? 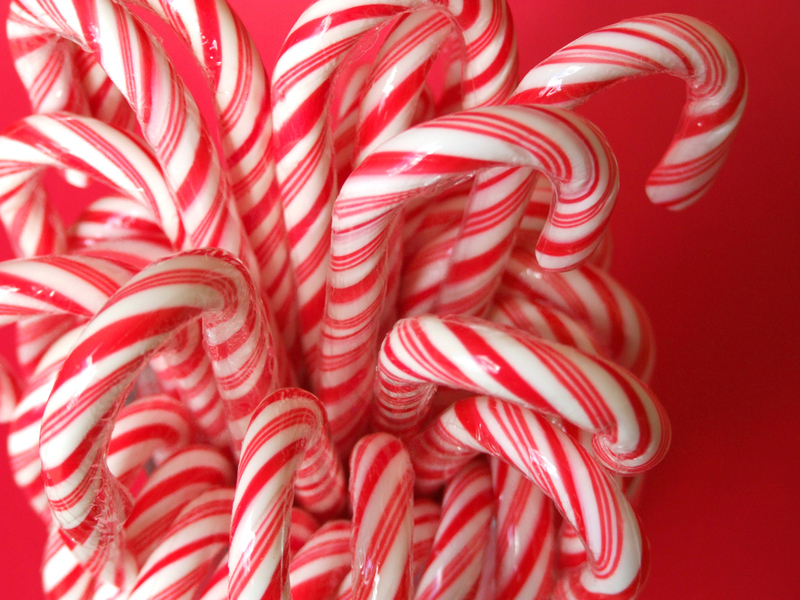 I can’t find any recipes that I’m loving and I’m fairly certain that candy canes will not be on my plate. This is the very first year that we will wake up in our own house to our own tree on Christmas morning – YAY! We just can’t wait!! Editing to add links to some recipes in case anyone else wants ideas, too! I would just make a breakfast casserolle of some sort, if it were me. Our kids don’t open presents until after breakfast, so we always go simple-like cold cereal or cinnamon rolls from the store! We make croissants from the freezer (ready to bake) and I pipe custard into them or slip a lump of chocolate into them when we heat them… chocolate and custard croissants with coffee – works for us!!! And nearly no work!!! I foolishly began the tradition of making homemade cinnamon rolls many years and children ago. Not quick, but at least they are messy:) I think you should go for the candy canes. My grandmother always made a braid with cherries and nuts and this yummy glaze. I usually just make muffins or coffee cake. I’m thinking about bringing back the braid tradition this year. Thanks for the links. I’m going to take a peek for ideas for our Christmas morning. We usually fend for ourselves after opening gifts and lounging around the house. But, I may find something yummy to make this year! We always do scrambled eggs, sausage, and biscuits. While it is a largely simple breakfast, one of the few times in a year when we let the men eat like this :-), it makes a big mess. And then we clean it up and start to make a big, heavy, messy dinner. I am going to check out your links and see if there isn’t something make-ahead that we might try this year. If it is yummy enough, I don’t think anyone will be too sad. Thanks for the inspiration. Here’s my favorite breakfast recipe. It comes together really quickly – and you can also bake and then reheat that morning. The grits kind of sink to the bottom and make a crust, so it ends up being like a quiche. Boil water and salt; add grits, remove from heat, and let stand 10 minutes. Mix in other ingredients and pour into a deep pie pan. Cook at 350* for 40-45 minutes. Test with a knife to make sure center is done. Let stand 10 minutes before serving. We do croissants (ready to go from the freezer section) with ham (sliced from the deli) cheese (also presliced) and tomato (LOL this is the only thing I have to slice!) I pop the croissants in the oven – put cheese, ham and tomato on a plate on the table and we are ready to go. If I wanted to doubly bless my family I could build the croissant with the ham, cheese and tom. and pop them back in the oven to melt the cheese but that rarely happens because the idea is that I don’t spend much time in the kitchen. I personally would prefer danish pastries with my cuppa-tea but my dh likes savoury so this has become our tradition. Hiya, I am really glad I have found this info. Today bloggers publish only about gossips and internet and this is really frustrating. A good website with exciting content, that is what I need. Thanks for keeping this website, I’ll be visiting it. Do you do newsletters? Cant find it.